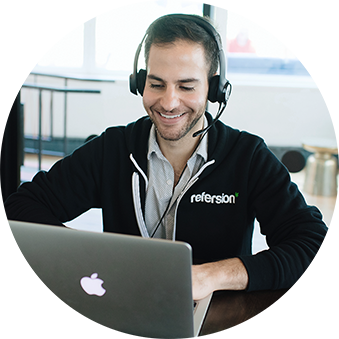 Strengthen your affiliate marketing with tools and apps that work with Refersion. Work with one of our technology or app partners to build a custom affiliate program that works perfectly for you and your business. All-in-one analytics for accurate tracking, automated reporting and intelligent insights on sales and marketing trends. MagicLinks empowers social media influencers with exclusive publishing tools to drive success with Refersion Merchants. Use merge tags and MailChimp lists to segment, run newsletter campaigns and communicate with your affiliates. Increase your average order value by seamlessly offering one click upsells at checkout. ReCharge adds subscriptions for Shopify Stores and integrates with Refersion to attribute subscriptions to affiliates. My tool isn’t listed, can I still use Refersion? Many merchants have successfully integrated us to other technical tools and solutions using our API and tracking documentation. We’d be happy to troubleshoot with you and your developer if you decide run your own integration.